Another thrilling regular season in the NHL is coming to its conclusion, revealing all of the teams which have proved themselves worthy of competing for the Stanley Cup in the playoffs across their gruelling 82-game schedule. 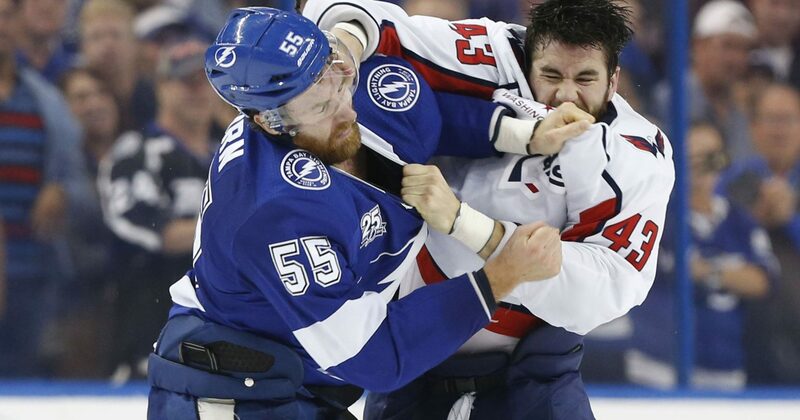 As could be seen by many NHL fans from the very start, the Tampa Bay Lightning are going to be the team to beat. Before the season had even come to an end, the Lightning joined a very elite group by becoming the 12th team to ever land at least 55 wins in one season according to the NHL. With five more wins in the ten games after their 55th win, this group of Bolts would become only the third team to seal 60 wins in one season. Sitting 19 points above their next closest opposition in the overall standings with ten games to play, it seems almost unfathomable that any other team could uproot the Lightning in the playoffs. But in the postseason, anything can happen. We’ve witnessed multiple seasons where the improbable and the almost impossible has come to pass; the example of the Vegas Golden Knights going all the way to the Finals last season is a recent reminder of this fact. So, which teams are best equipped or have shown the ability to oust Tampa Bay? As you would assume, across every metric put out by various experts, the Lightning are by far and away considered to be the favourites to win the Stanley Cup in 2019 and are considered to be the very best team in the league. With Tampa Bay sitting atop every respected power ranking, such as the one put up by CBS Sports, other expert insights have followed suit to put the Lightning far ahead of any other contender. Prior to the conclusion of the regular season, the Lightning were favourites at 9/4 to win the Cup, with MoPlay putting the San Jose Sharks at 7/1 as the next best team. In hot pursuit of the Sharks are the Calgary Flames at 8/1, the Boston Bruins at 10/1, the Washington Capitals and Toronto Maple Leafs at 12/1, and then the Nashville Predators and Winnipeg Jets at 14/1. So, as you can see, the Bolts are heavily favoured. Which team can go toe-to-toe with the Lightning? Second period time? Second period time. Given Tampa Bay’s immense strength in depth, it’s very difficult to see a team which can match the Lightning in all phases of the game. But sometimes, you don’t need to match a team throughout, merely stifle them and take your opportunities. The only team of the top contenders who have proven themselves to be capable of smiting the Lightning are the Nashville Predators. Despite their powerplay woes, the Predators have a 2-0-0 record against Tampa Bay this season, scoring seven and only conceding three. 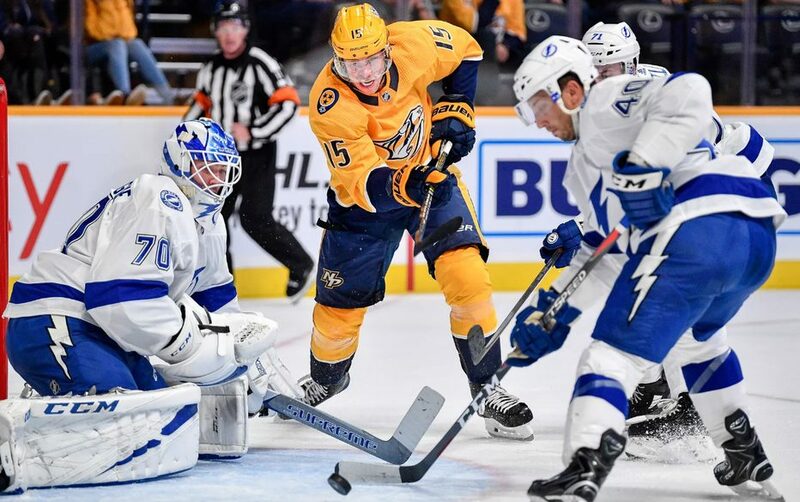 Due to the structure of the playoffs – with the top Eastern Conference team meeting the top Western Conference team – the earliest that the Predators would meet the Lightning would be in the Stanley Cup Finals. Another team which is not to be forgotten in this race is the San Jose Sharks. Pegged as the bookies’ second-favourite, they are already being careful with their stars in preparation of the postseason, allowing Erik Karlsson to take his time recovering from his groin injury, per Mercury News. Both the Sharks and Predators boast rosters filled with recent Stanley Cup Finals experience too, with the two Western Conference teams falling to the Pittsburgh Penguins in 2016 and 2017. Both teams have improved significantly since those Finals losses, making them both experienced in the high-pressure situation and better equipped to handle whatever the Eastern Conference throws at them. It’s going to be an exciting postseason, and if any teams have what it takes to bring down the Lightning – assumedly in the Finals – it’s the Sharks or the Predators.